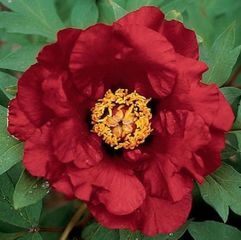 Large shining black/red semi-double flowers with a prominent gold centre. 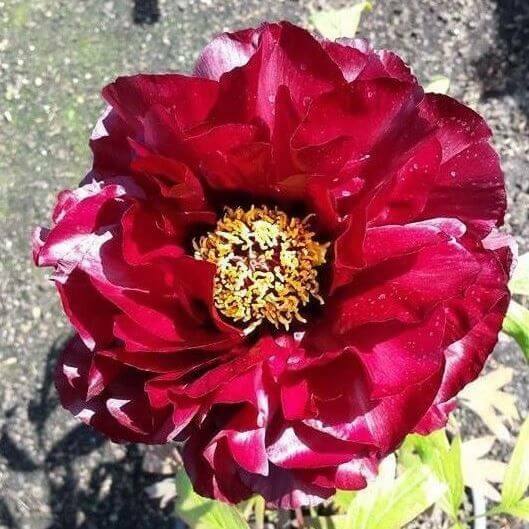 A dramatic statement in full sun. 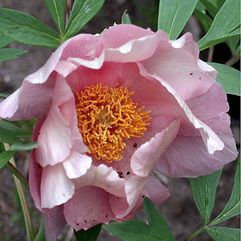 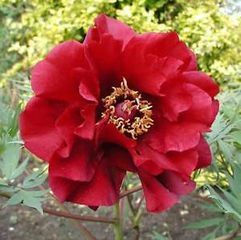 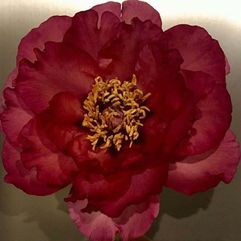 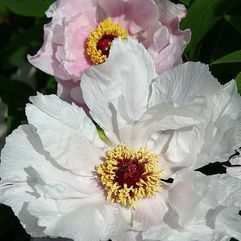 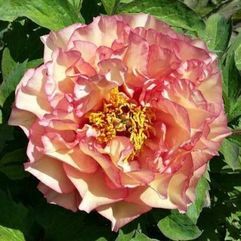 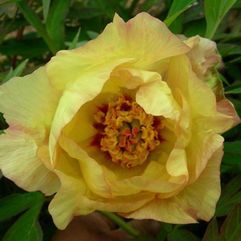 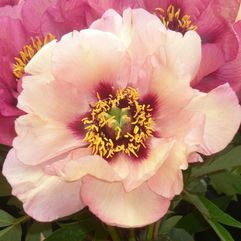 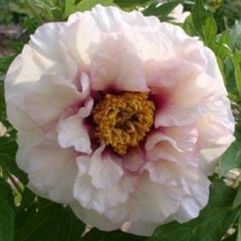 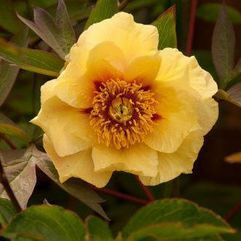 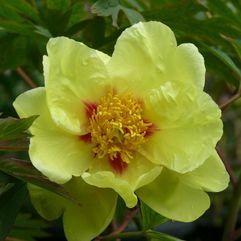 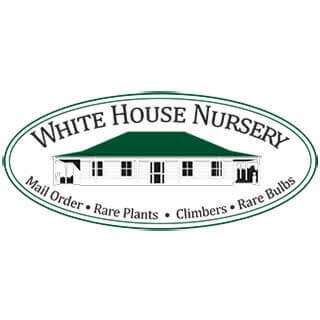 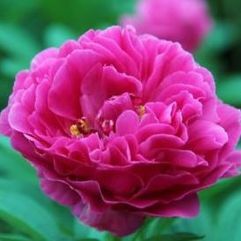 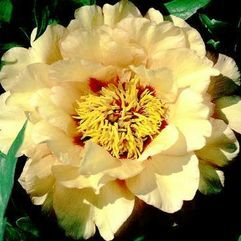 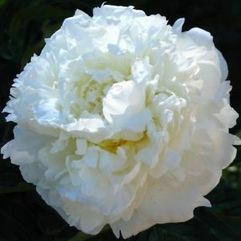 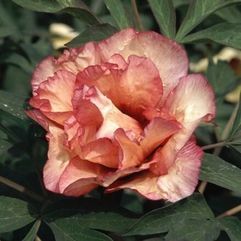 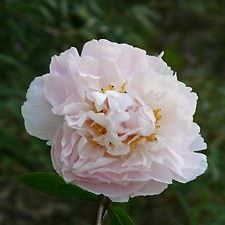 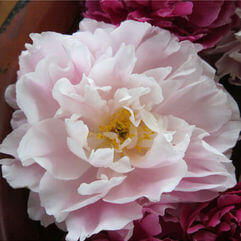 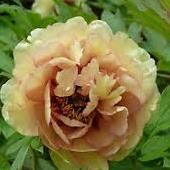 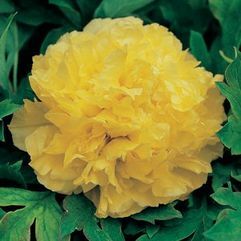 Tree peonies will also support more shade, deep shade however this will reduce flower production.